Dimensions: 6 x 8 in. 9 die-cut sticky notepads (20 pages each). 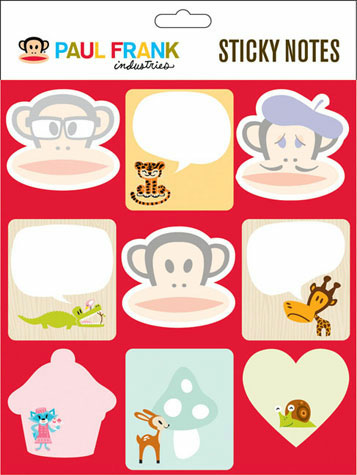 Sticky notes in the shape of Julius the monkey and other quirky animal friends make writing notes a blast!